Social Media and Relationship Marketing – Time For Change? Many moons ago Relationship Marketing was a term dedicated for marketers purely for existing customers focusing on customer retention and loyalty through long term customer engagement. Relationship Marketing however was pretty much a one-way street it didn’t mean that customers were welcomed into an active discussion with the company or indeed an individual! Direct mail, email shots and the occasional outbound phone call would constitute building relationships just because it was directly to individual customers with specific products or services. But then Social Media came onto the scene and I personally think this has revolutionised Relationship Marketing. Now we can have two way communication with not only our existing customers but with potential customers and also with the people who are our influencers when it comes to buying behaviours. How better to promote your business than with people who you have an active relationship with? Now we can talk to anyone on a personal one-to-one level there is no reason why Relationship Marketing shouldn’t apply to all. As an individual, company or organisation we can directly identify our target audiences and post content either to individuals that stimulates one-to-one conversation or to groups to engage on a more general level. Most social media platforms provide you with access to groups of people or organisations that have identified interests, needs or expertise. Rather than broadcasting messages out into the world through various means you can now start a simple conversation without having to appear as someone conducting market research on the edge of a high street. Nowadays literally anyone can talk to anyone! Social Media gives you the chance to conduct Market Research online. Run polls to gather information or ask direct questions via groups or individually. What branding or packaging do people prefer? What’s important to your target audience when making buying decisions? Run A/B testing to work out what images of messages work best for you and get more people to your website or buying on the phone. Talking to everyone will be time consuming but with a sales and marketing team (it may even be just you!) who know exactly who your target audience is it’s easy to integrate social media into your Relationship Marketing mix. Share the success of your customers, engage with people who may want to buy from you in the future (the softly softly approach works so much better than ‘This is what I have to sell so buy from me now… and then I can move onto the next person’). Be consistent and look to the long term. Friendships don’t generally happen overnight. If your customers are your friends they are much likely to stand the test of time with you. Now you can run marketing messages directly for their interests and needs and carefully bring that into their eye line. Or through conversation be open to suggestions and questions regarding your products and services. The trick is to listen as well as to just promote. Is there a running trend occurring with your target audience or can you spot things on your competitors’ accounts that leads you to believe tweaks would result in more sales for you? Be current and personal. Make everyone you talk to feel special. We all recognise that direct mail shots have been churned out by some computer with a letter and a database. By all means let it be part of your mix but direct engagement is likely to get results in a shorter amount of time. Social media means that good and bad customer experiences are plain for all to see. You will often be judged on how well you deal with customer complaints. Being transparent and consistent will benefit you. Troublesome customers are easy to spot and courteous replies which clearly aim to sort out issues will reflect well on your organisation. A timely response is however crucial. Social media allows you to have open conversations with your customers about their recent buys. And if the whole of the world can see that Barry from London is thrilled you delivered his important documents in time or Jane is happy that the cakes tasted as good as they looked, you are building up your profile as being someone who delivers time and time again! Openly interact with your customers in a way that encourages them to provide positive feedback on you. It may also lead to recommendations and questions in the future on other areas you may be able to help them with. When we receive a letter or read an advert we don’t generally go and show that to everyone we know. It’s worth remembering that on social media we also get access to all the other people connected to the person we’re talking to. Someone may only have 28 followers but if 2 of those have over 2 million following them a share of your post could be worth its weight in gold. 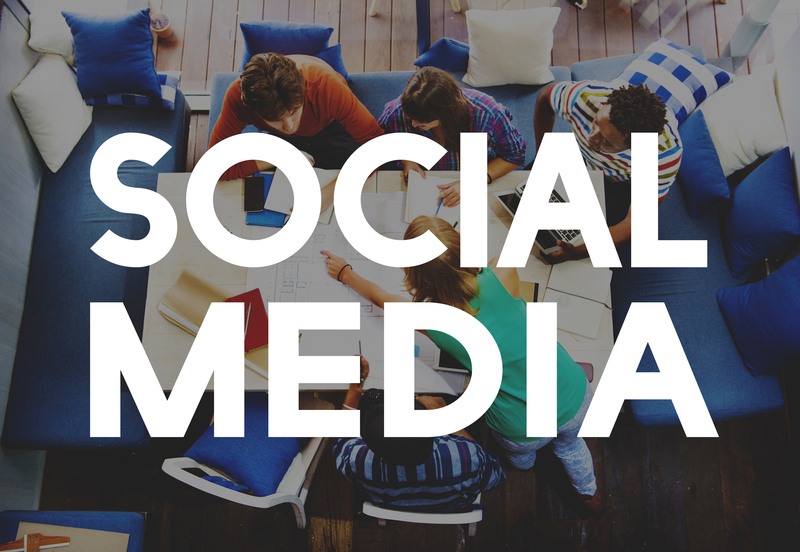 Social Media allows you to instantly engage and build relationships with people who fit your audience profile as well as continue to nurture your relationships with existing customers. I’m intrigued when I can see existing customers are being rewarded or supported by suppliers for surely if I buy from them I will get the same treatment too? We are living in a much more transparent world so the companies that are embracing that change and actively talking to individuals rather than on mass will inevitably do well as a result. The trick is to make sure the people handling your social media accounts carry the same professional ethos and knowledge as those at the top. We offer a complete solution with a range of self-service, cost effective, social media and marketing products and services that are uniquely suited to supporting firms.